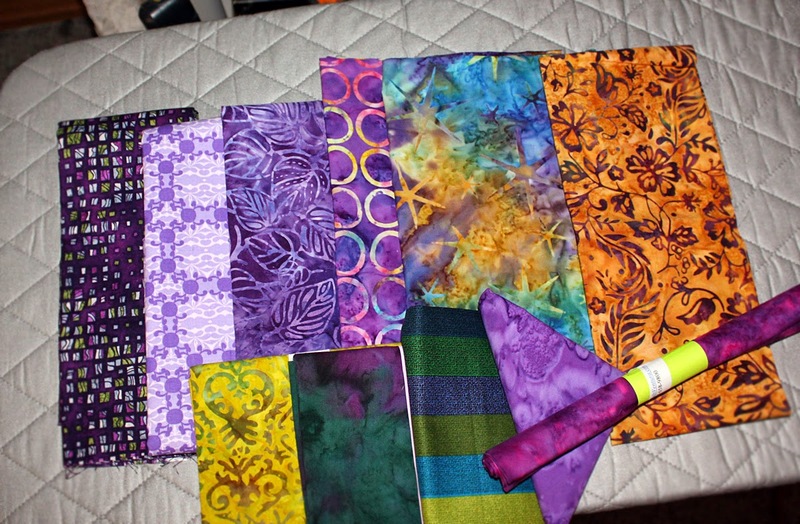 I had two goals for this year's quilt run - and they were, in theory, going to keep me focused and spending less $$. Yeah, that didn't happen. 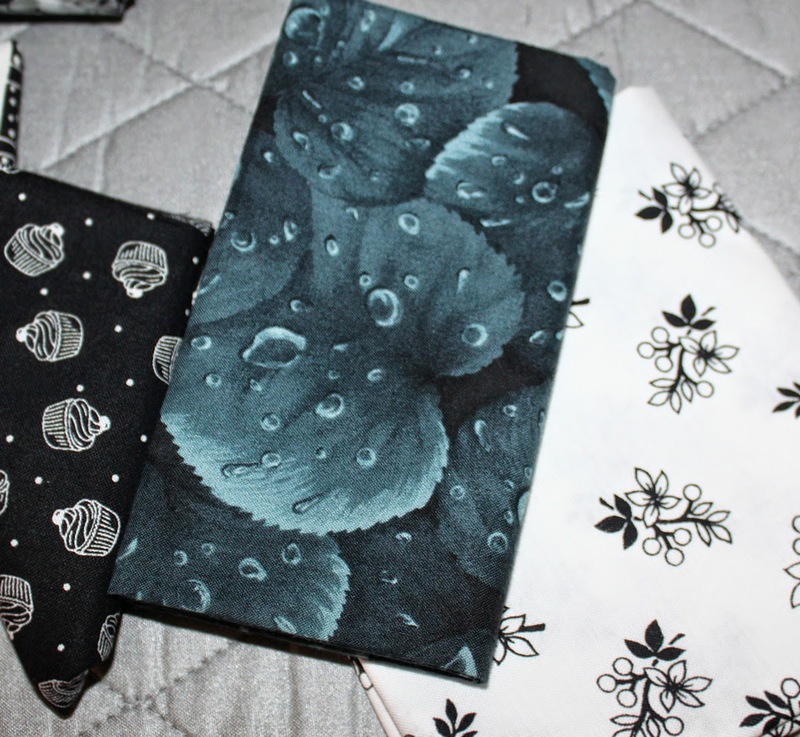 Goal #1 was to get a selection of black and white fabrics for a scrappy "boy" quilt. one is more blue than black compared to the others; and one is too flowery. Love the cupcake fabric on the left. Goal #2 was to buy a fat quarter at each shop for our quilting buddy, Debbie, who worked the Run at our local quilt shop. She gave Reyna and me a coin purse stuffed with money and said to buy something we thought she'd like. Judging from her reaction today, I think we nailed it.